2013 marked the 30th anniversary of LoFric® catheters. Over the years, LoFric has become the name synonymous with comfort, safety and trust for self-catheterizers and healthcare professionals alike. And no wonder. Since day one, we’ve listened to the people who use our products and the professionals who recommend them to continually develop products and services that make life easier on everyone. And along the way, raise the standard of care for generations of catheter users and their caregivers. 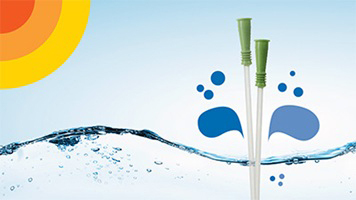 LoFric was the world’s first hydrophilic catheter – using water as a lubricant – when it was launched in 1983 by Wellspect HealthCare. It was a big step. With the launch of LoFric catheters with Urotonic™ Surface Technology, we made catheterization easier, more comfortable and less harmful than it had ever been. And, over the years, we have innovated new, more discreet and easier catheters to make life simpler for users. To order LoFric® catheters, please have your patients contact us at 1-877-563-7422.